The HUD Resource Locator is a mobile app and mobile website that includes: Information about commonly requested housing-related resources from HUD field and regional offices throughout the country. 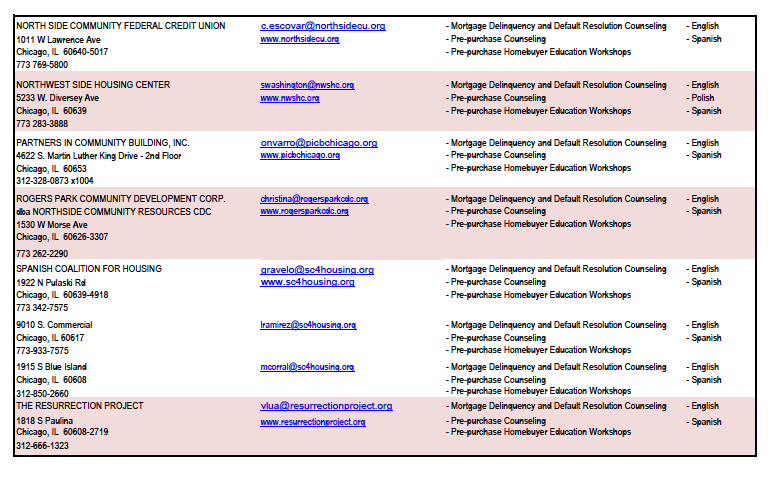 Location data and contact information for HUD Field and Regional Offices, Public Housing Authorities, Multifamily Housing, Low Income Housing Tax Credit apartments, USDA Rural Housing, and Continuum of Care Homeless staff. Maps that are seamlessly linked via Facebook, Twitter, Google+, email and text messages. GIS and Browser Location Detection to show resources in proximity to the user. Ability to export search results to Excel and to generate a custom PDF resource guide. HSI offers around 15 different facilities throughout Chicago for Housing and low income housing options with a comprehensive multi-tiered approach that engages prevention, intervention, treatment, research, and care management to build healthy communities. 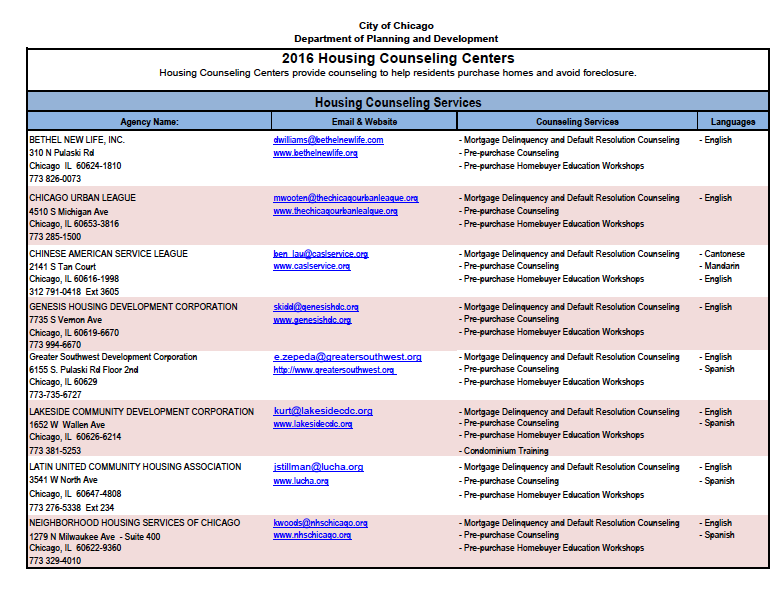 2016 Housing Counseling Centers Housing Counseling Centers provide counseling to help residents purchase homes and avoid foreclosure.